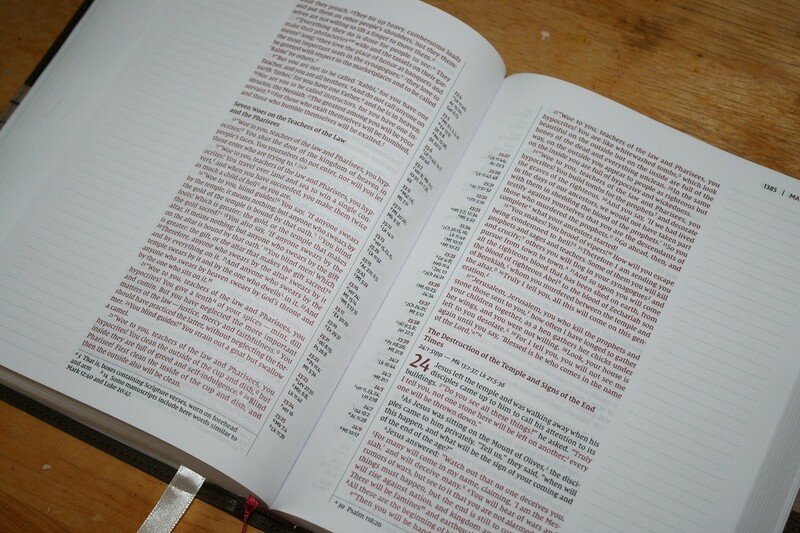 I recently received a copy of the NIV Journal the Word Reference Bible. 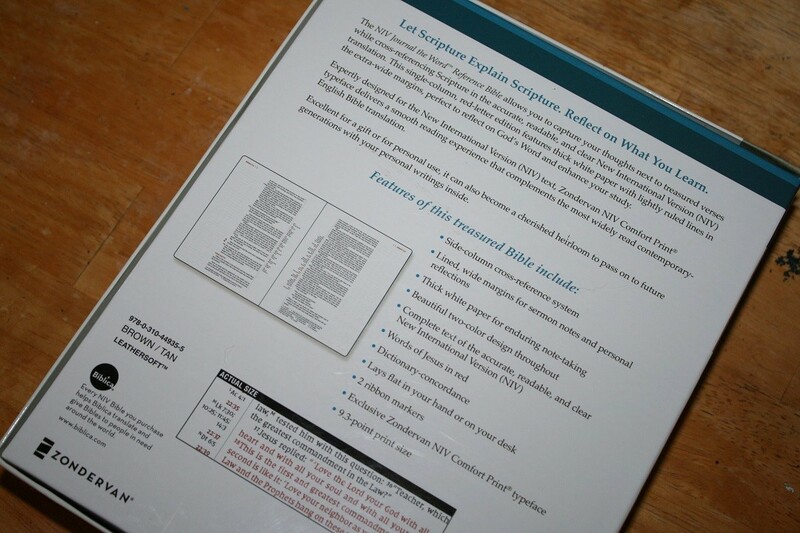 I love the tagline for the Reference Editions “Let Scripture Explain Scripture. 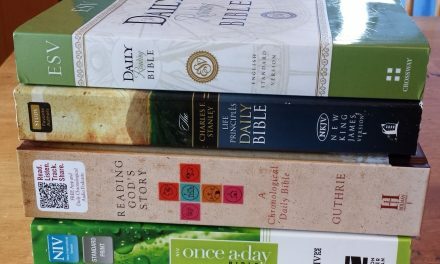 Reflect on what you learn.” Isn’t that great Bible study advice? 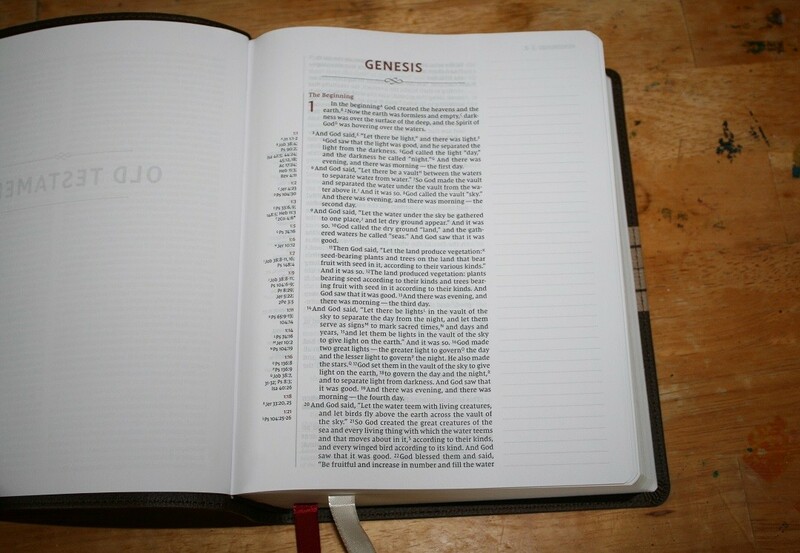 This Bible adds to the Journal the Word line of Bibles we’ve already seen, (Large Print KJV Journal the Word Bible review here, Standard NKJV Journal the Word Bible review here) but it has the added features of references and a combination dictionary/concordance. The copy I have is the tan and brown Leathersoft edition. 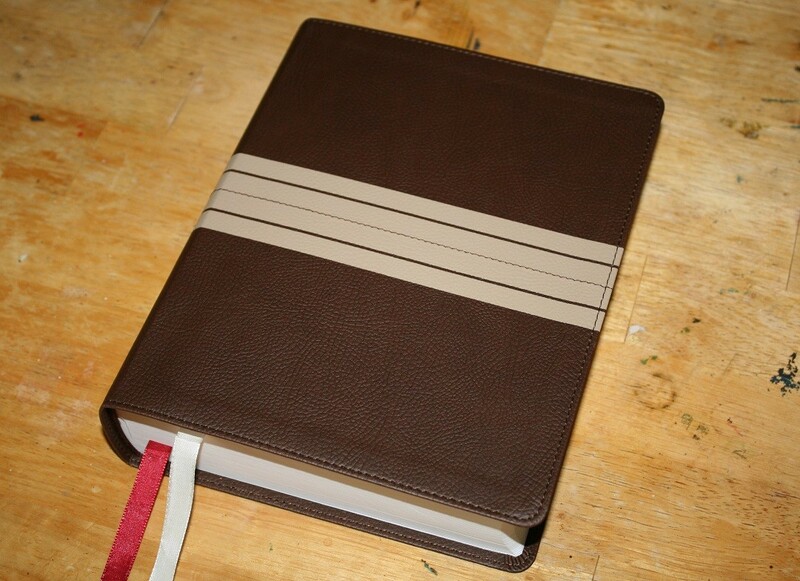 It has a sewn binding and brown print endpapers. 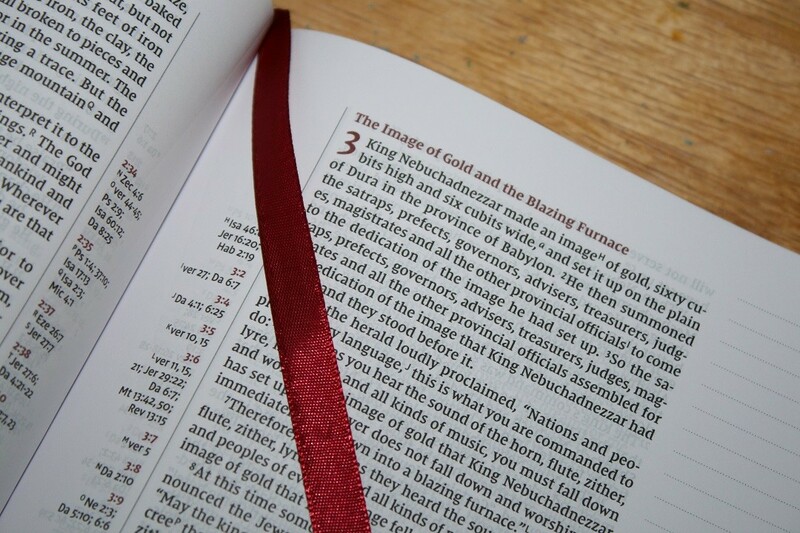 There are two ribbon markers, one pale cream and the other a light burgundy, attached to the Bible. It measures approximately 8.5″ x 6.5″ x 2″ and weighs 2 pounds and 11 ounces. The paper is in the upper 30s gsm (36? 38?) and is a nice dull white (I find dull white much easier on the eyes than bright white). It is moderately opaque. White paper is so nice for not changing any colors you use for notes and artwork but is automatically less opaque at the same thickness of paper that is tinted. 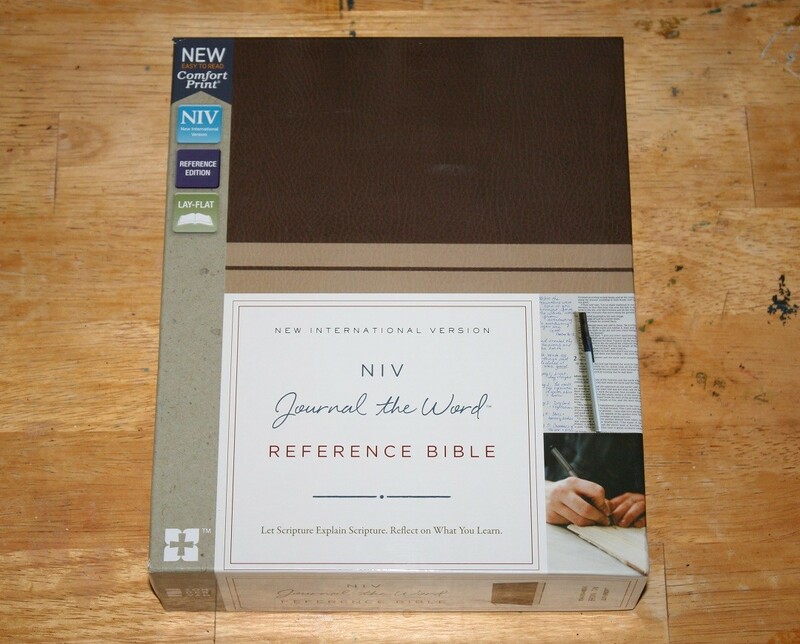 The NIV Journal the Word Reference Bible is also available in black hardcover, burgundy & gray cloth over board, and gold & gray Leathersoft editions. Each translation has its own set of covers. The text is laid out in single column paragraph format. Poetry is set in stanzas, lists look like lists, and letters and quotes are offset to be easy to identify. 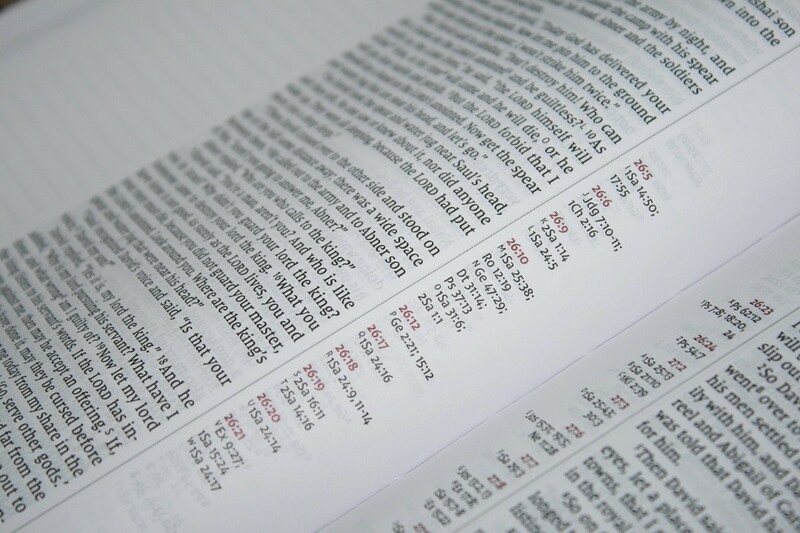 It uses a 9 point version of the NIV Comfort Print typeface designed by 2K/Denmark. 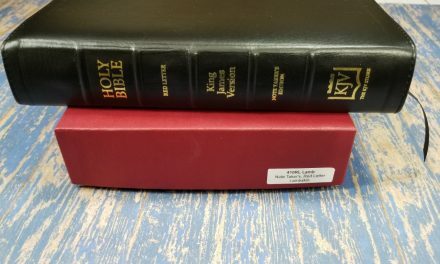 There are three shades of ink used, a nice medium darkness black for most of the text, a bright red for the words of Christ, and a darker red for chapter numbers, section headings, and the reference keys. The print darkness is consistent throughout. 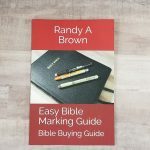 I found this Bible easy to use. The references, note space, and translation notes pushed to the various edges kept the text block uncluttered enough for easy readability. The extras were easy to find when needed though, and this new font is very nice. 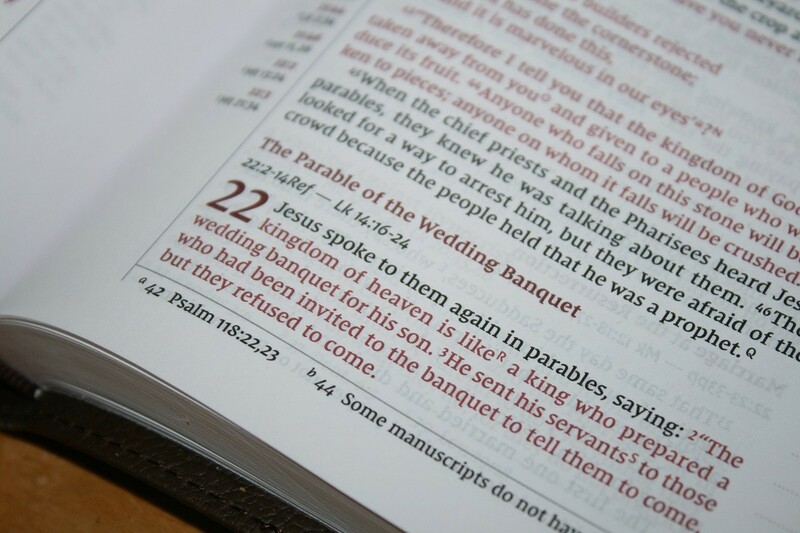 The header contains the page number (in black) and the guide verse (in dark red) on the outer corner. Translators notes are included at the bottom of the pages. The outer margin is 2 inches wide with 40 evenly spaced very light lines. 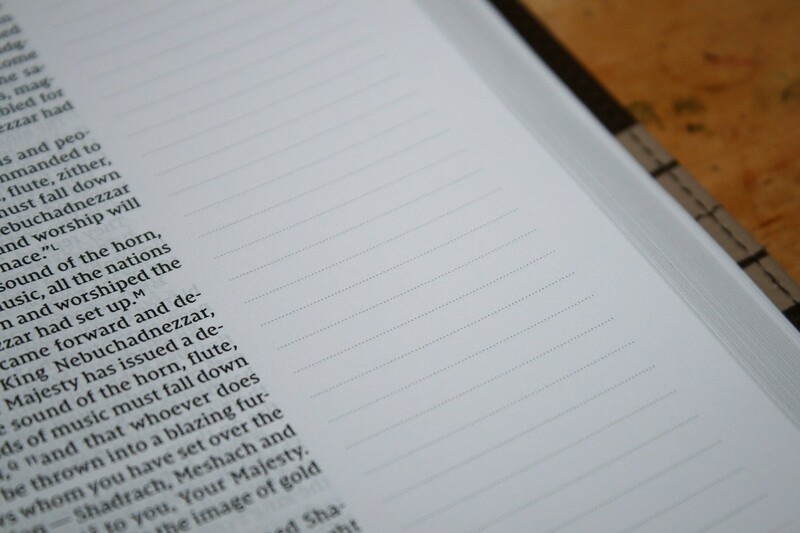 2 inch wide margins are fairly standard in journaling Bibles and provide plenty of room (most of the time) for notes or artwork. The lines are dark enough to help keep your handwriting in straight lines but not so dark as to be distracting behind most pictures or charts you choose to draw. There is a 1-inch wide inner margin containing the references. The references from the text are dark red while references for those verses are in black. 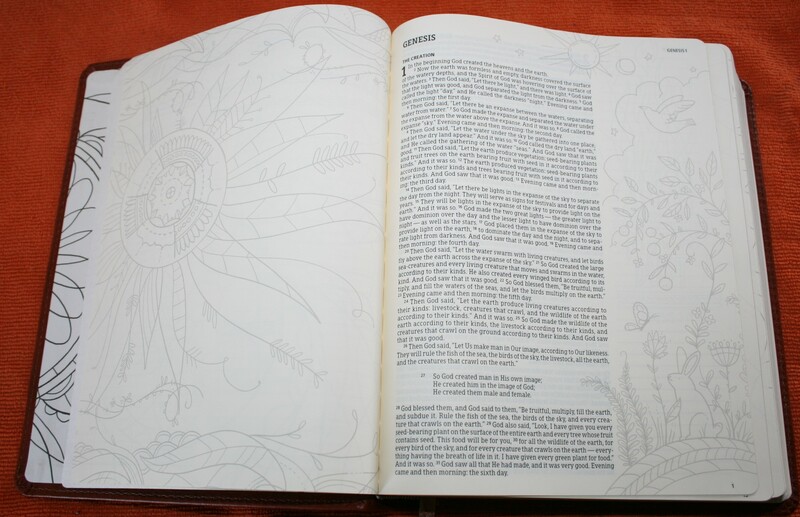 References are rarely found in journaling Bibles and it’s nice to have such a well designed Bible that includes them. This is definitely more of a dictionary than a concordance. Not every word has references and at most only a third of those with references has more than 2 or 3. 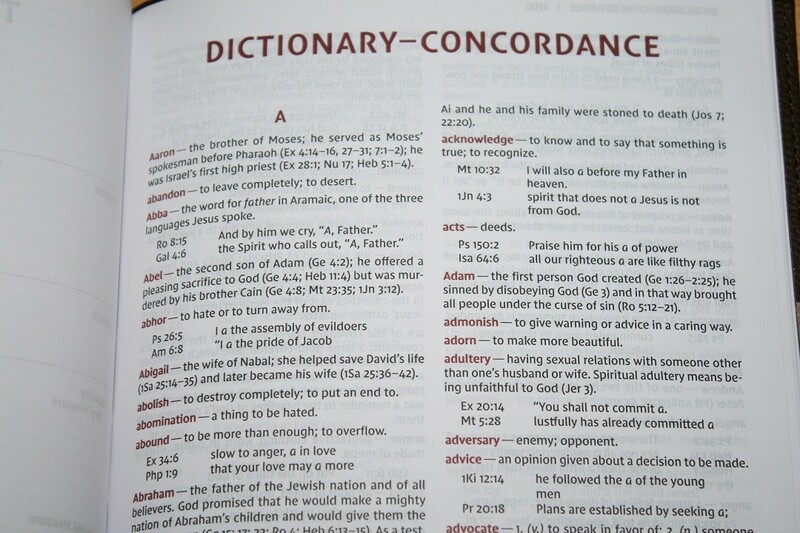 Even small dictionaries and concordances can be handy, especially when any other books or Bibles are not available. The inclusion of this combined section does make this Bible more all-purpose. 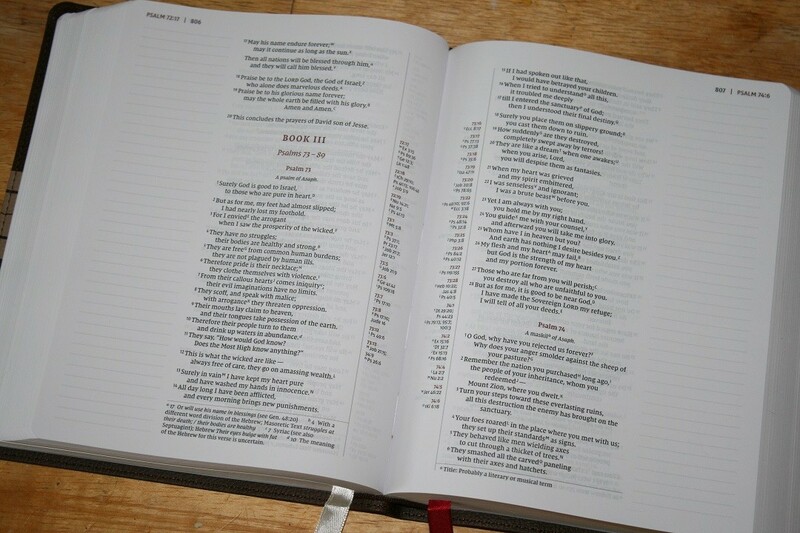 The NIV Journal the Word Reference Bible is a really nice journaling Bible. 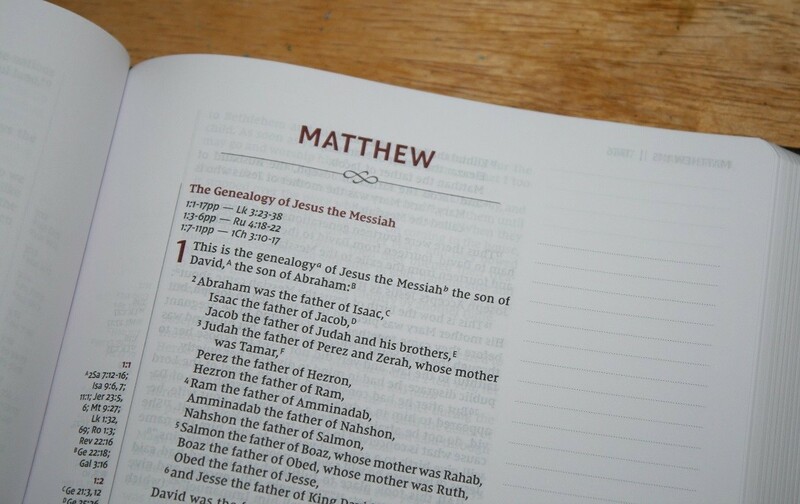 With plenty of space for notes (or artwork), a nice readable font in a good layout, and the bonus of references and a dictionary it makes a good general purpose Bible. 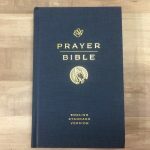 It (or any other translation in the Journal the Word line) would be a great first Bible for a new convert. It will also make a nice carrying or travel Bible for those of who already own several. I look forward to using this Bible more, my only dilemma being deciding the type of notes or artwork (general doctrine, witnessing, christian living, etc) I want to put in it. 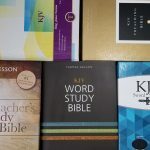 They have a KJV reference journal the word Bible coming out in September 2018. 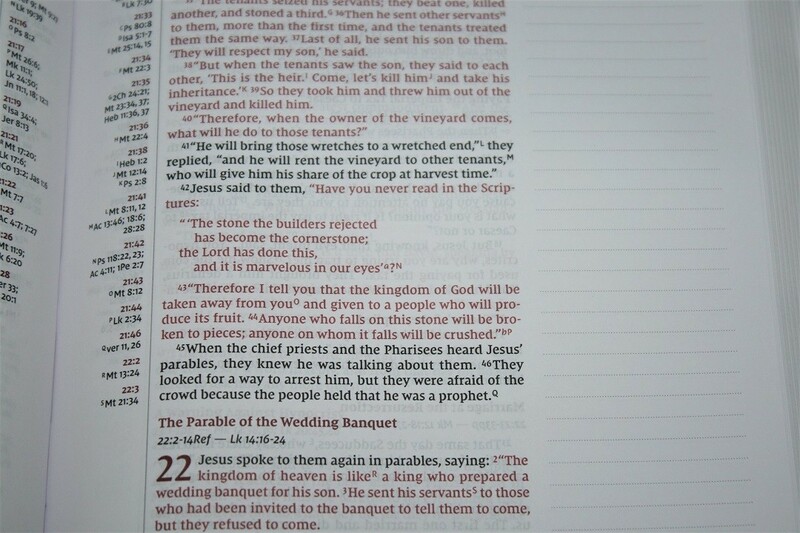 I’m really hoping the pages are more white like this new NIV. I don’t care for the yellow cream in the previous versions. Any chance you’ll be reviewing the King James Version when it comes out? Hi Dawn. I hope to review the KJV edition. I’m with you on the paper. I do like a slight cream look, but I’m not fond of the heavy yellow that many journal editions have. White really does have a better contrast for artwork and notes.